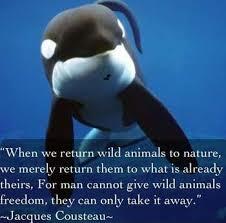 Wildlife is not on this planet to bear the burden of human entitlement. Each individual’s birthright, whether wolf, prairie dog, mallard duck, elephant, blue fin tuna, whale, fox, lion, rhino, pangolin, bison, et al – is to live free and unencumbered within their own cultures and communities without human trespass. To be truly human is to be humane and respectful. While pondering conscience for guidance, as we have ultimate choice – we can either take our own species evolution for granted and cruelly fail and abuse our neighbors, or we can learn, accept and celebrate meaningful coexistence with them and their sublime wonder.